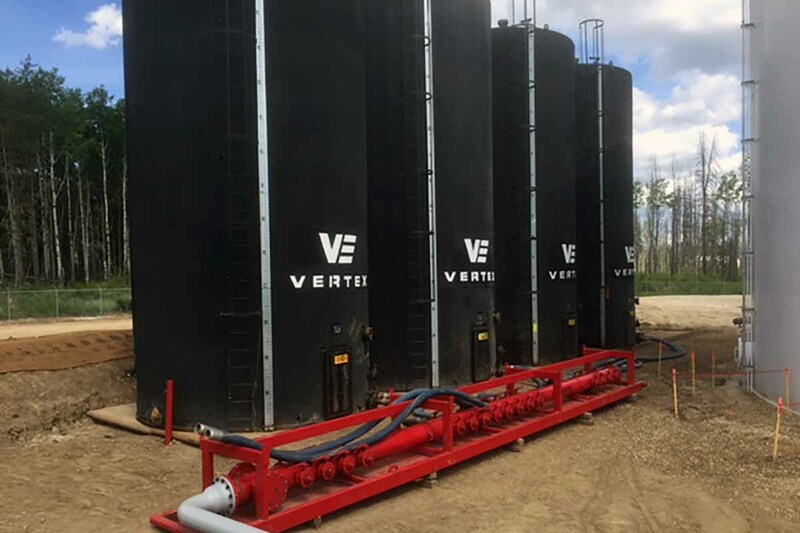 Vertex offers clients total fluid management and logistic services through the innovative and alternative use of leading technology that exceeds current industry regulations and practices in Western Canada. 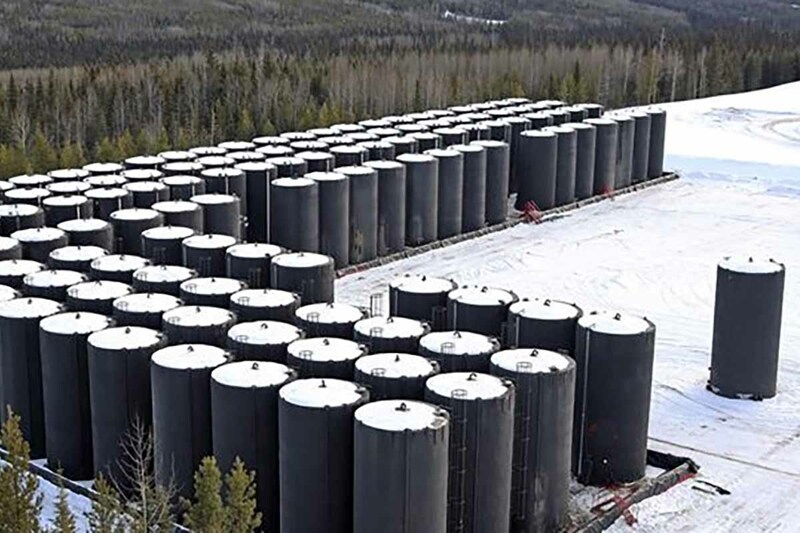 Utilizing a team of professionals that are dedicated to the sale, storage, transportation, pumping, recovery and disposal of fluids, Vertex provides a comprehensive approach to fluid management that is cost effective, reliable and environmentally friendly. 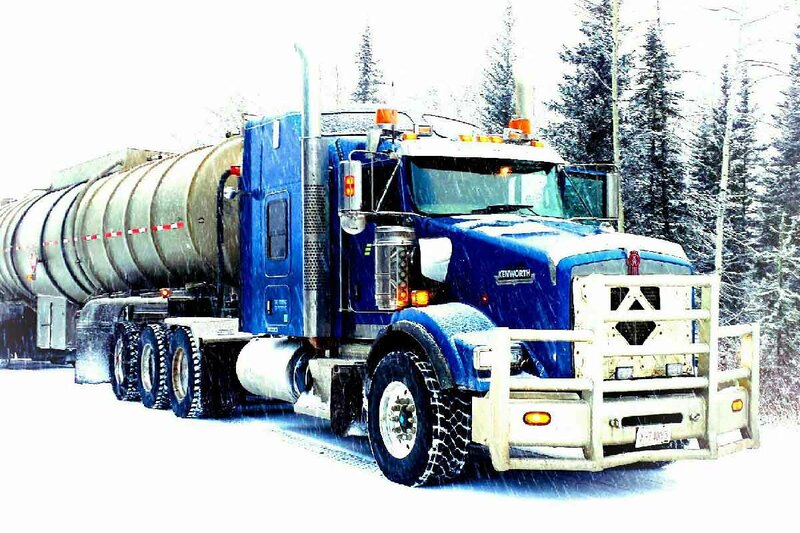 Offering only the highest quality tanks, trucks and equipment, Vertex provides secure, robust and reliable solutions to your fluid management and logistic needs. 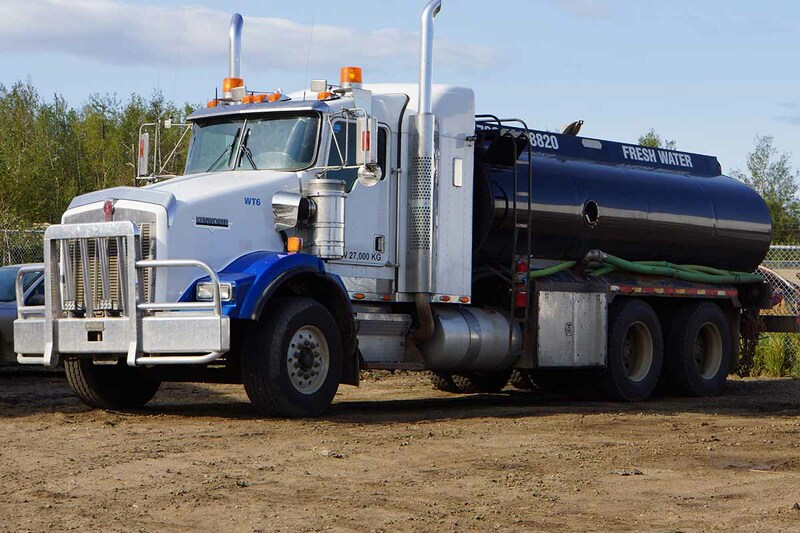 Our modern, company owned and maintained fleet of fluid haulers and water trucks are capable of hauling virtually any fluid you require to be delivered or removed from your work site. With a dedicated operator and service team, we guarantee that we have the expertise and equipment necessary to complete all sizes of projects in a safe, cost effective and timely manner.